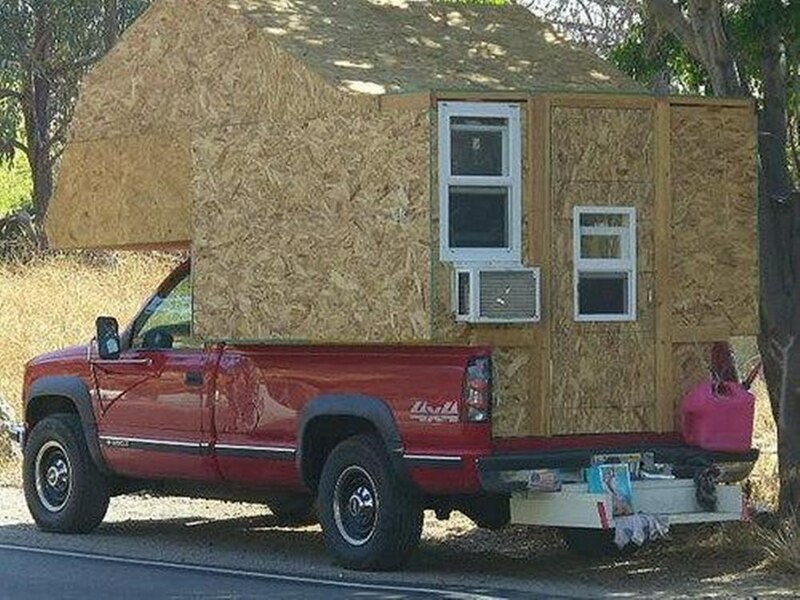 Unfinished OSB wood sided custom camper. 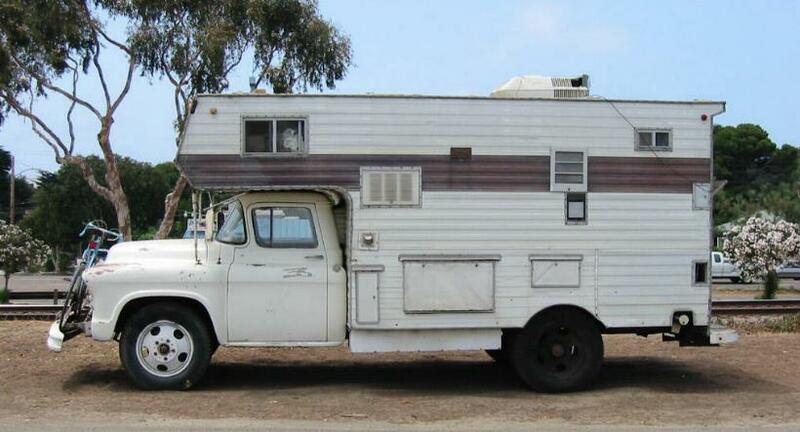 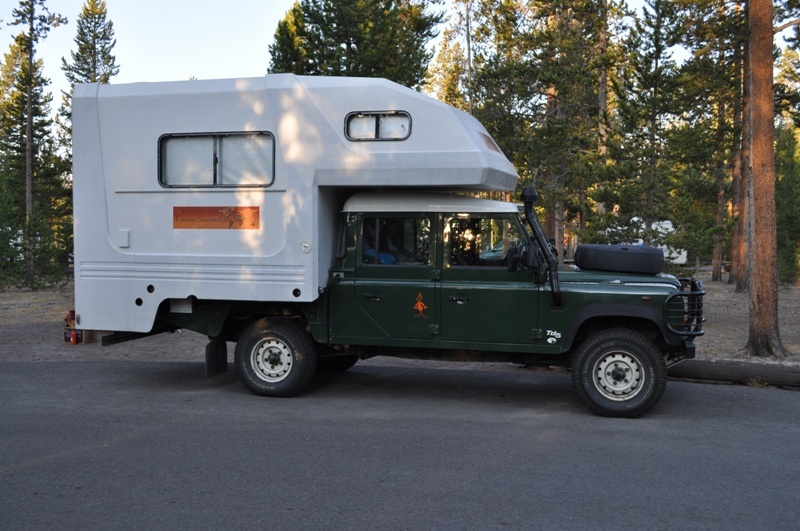 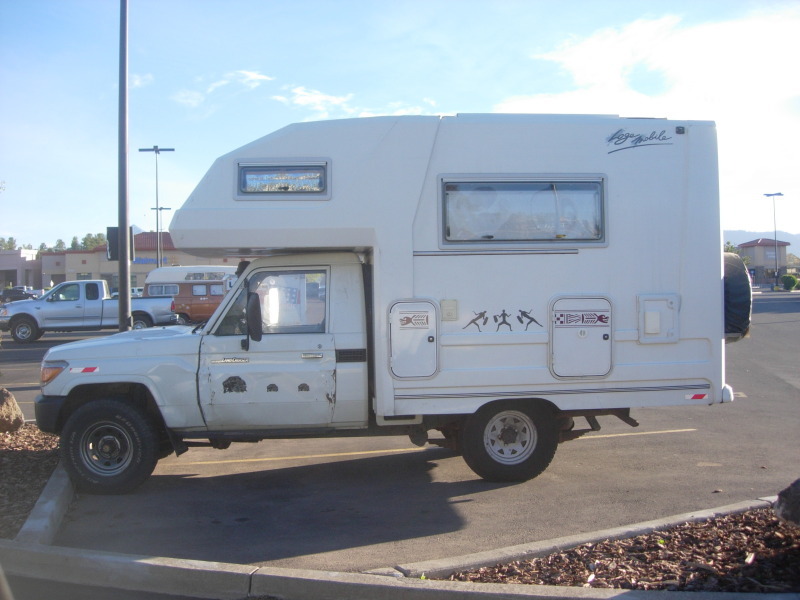 Here is a a really unique designed camper. 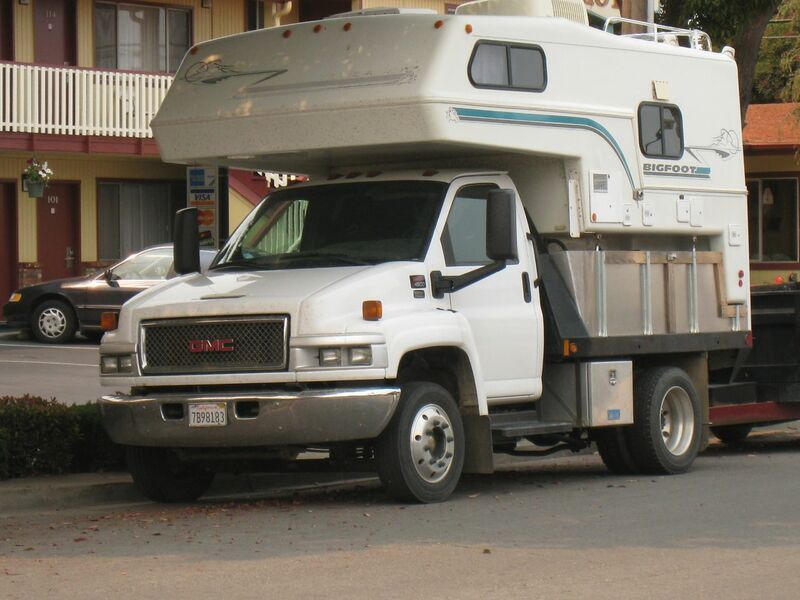 It is mounted to a 4×4 Chevrolet truck. 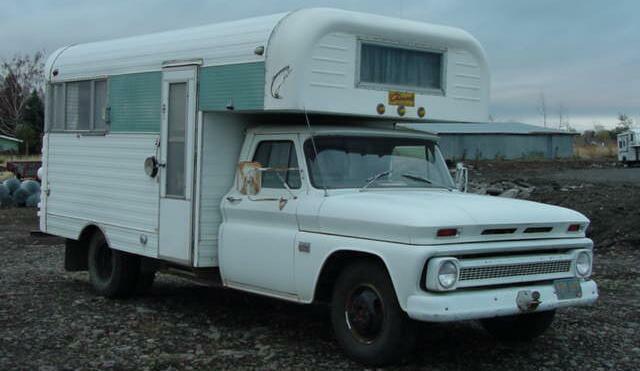 GMC 4500 Truck with a cab over fiberglass Bigfoot camper mounted to utility flat bed.